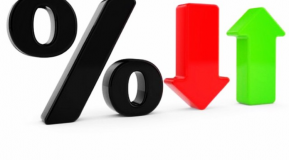 Interest rates in the UK will remain at 0.5% for another month the Bank of England have confirmed. The interest rate announcements usually come earlier in the month however, the announcement was delayed due to the General Election. The 0.5% interest rate was announced back on 5th March 2009 and has remained at this record low for more than 6 years. Although nobody has a crystal ball, markets suggest that July 2016 will see the first rise in interest rates, a rise before this time is looking very unlikely due to a sharp decline in the rate of inflation at the end of 2014. Predictions by economists expect of a rise to 1% by the end of 2016 and moving up to 1.5% by the end of 2017. The low interest rates have been great news for those with a mortgage yet savers and pensioners have felt the effects on their savings and income. So, could this be the time to enter into a great mortgage deal? If you would like to look at your existing mortgage, are thinking of entering into a new deal or you’d simply like advice about another financial matter, why not get in touch using the form below. We’ll get back to you as soon as we can.